Humachine Technologies & Sensual Racing Form Big just got bigger and better. 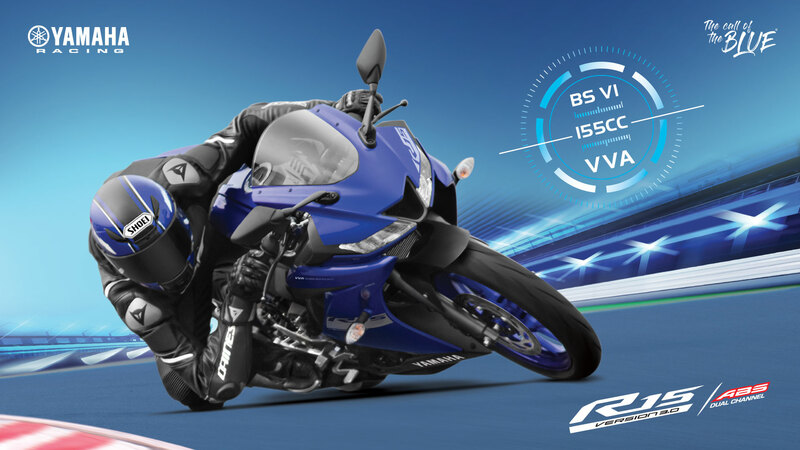 Borrowing its ferocious look and aggression from its elder track sibling R1, the all-new YZF R15 V 3.0 powered with Dual Channel ABS is max powerhouse of 19.3 PS that brings track experience to the streets. Sharper aggressive eyes. Muscular tank. Aerodynamic front. Edgy tail. 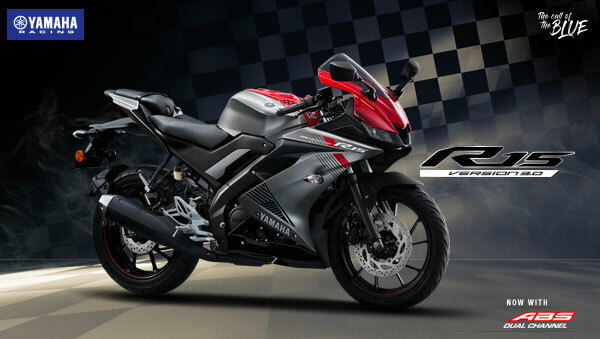 Borrowing it all from its track sibling R1, this R doesn't fail to impress. 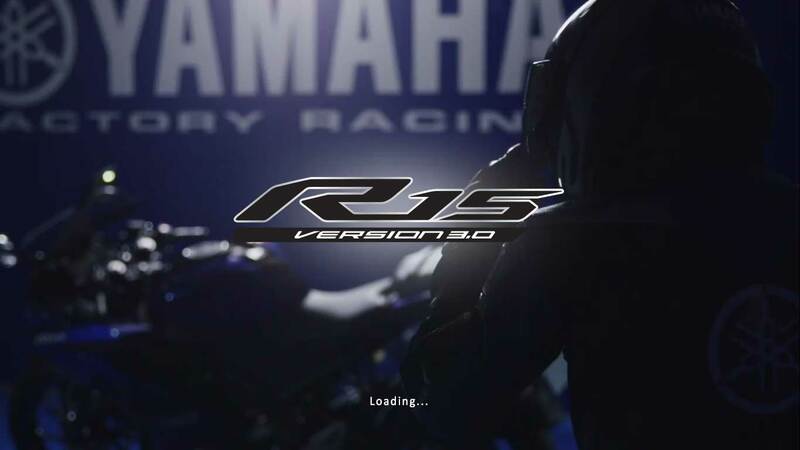 New YZF R15 V 3.0 is a "Next-Generation 155cc Supersport Inheriting R-DNA"
Enjoy great performance now with superior control. 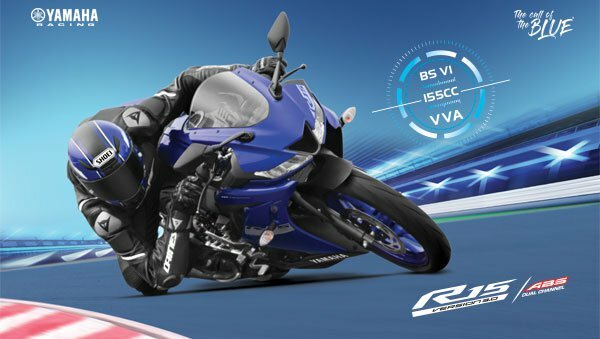 YZF R15 V 3.0 now comes with a dual-channel ABS, which means precise braking even when the bike is speeding up, without any wheel lock-ups. 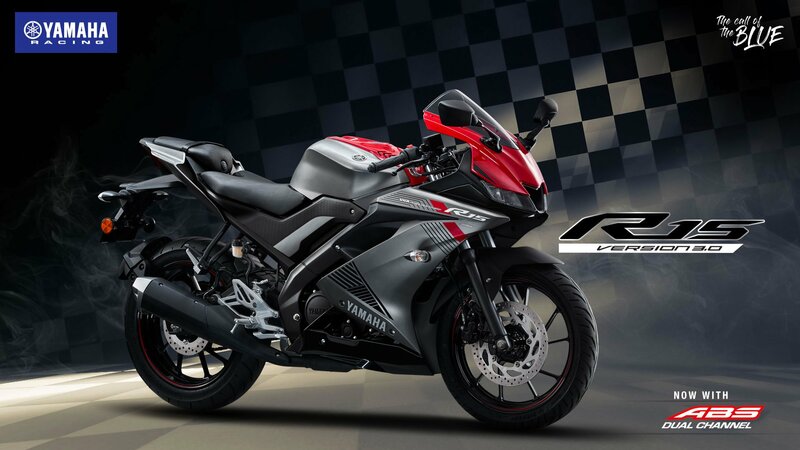 This ensures a confident inspiring ride and let the rider enjoy the ride to the fullest. 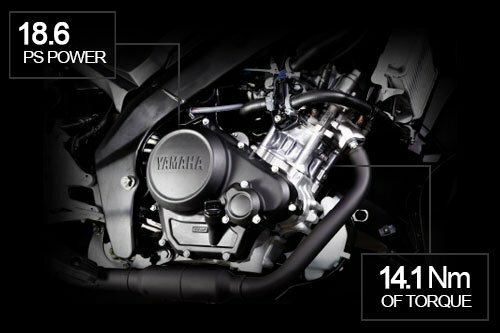 The YZF R15 V 3.0 mounts a new 155cc liquid-cooled SOHC 4-valve fuel-injected engine to achieve excellent power and a high top speed. 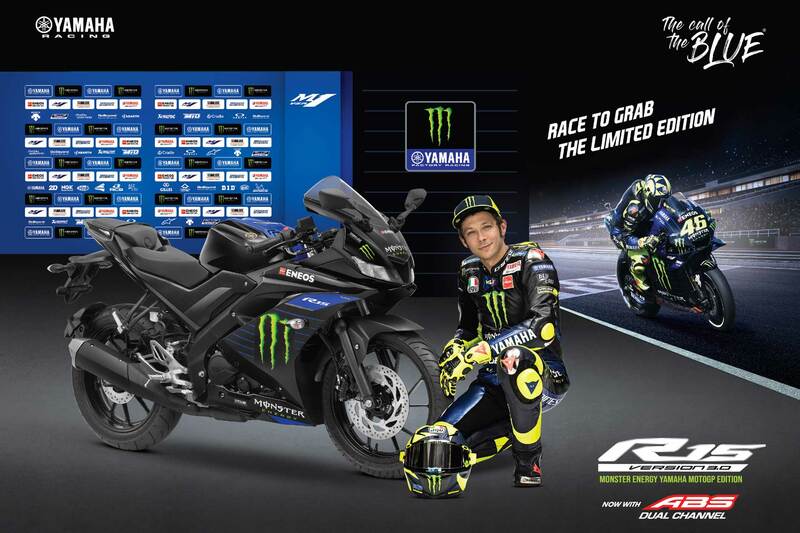 The engine has a 58.0 — 58.7 mm bore — stroke and a 11.6:1 compression ratio, and produces a maximum 14.2 kW (19.3 PS) of power at 10,000 rpm and a maximum 14.7 N-m (1.5 kgf-m) of torque at 8,500 rpm. 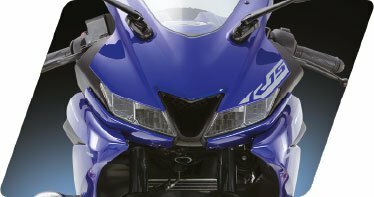 The new YZF R15 V 3.0 adopts a new Deltabox frame with superb rigidity balance. 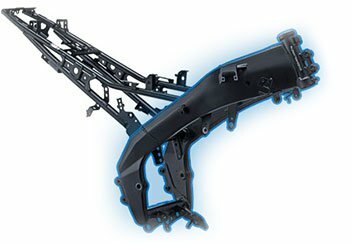 With a Deltabox frame, the top and bottom of the head pipe and the pivot points form a triangle, hence the "Deltabox" gives it excellent rigidity balance. 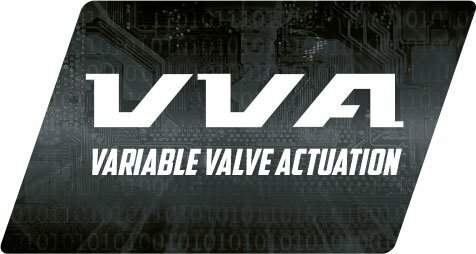 This is the first ever high-performance VVA system that provides torque for ease of use even at low RPM. There are two intake valve cams: one for low- to mid-range rpm and another for high rpm. 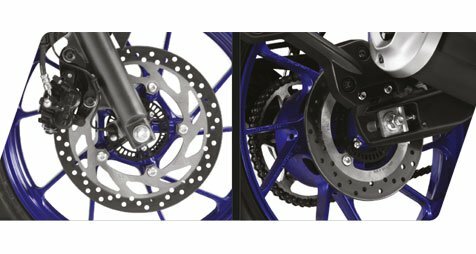 They switch between each other at the 7,400 rpm mark to ensure good power and torque is present throughout the entire rev range. 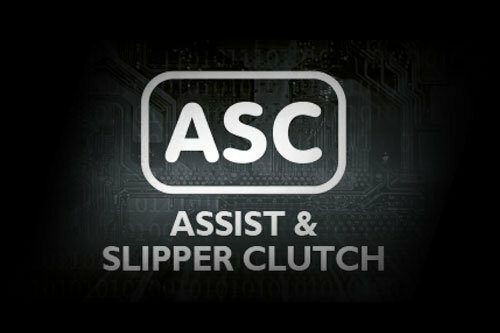 An A&S (assist and slipper) clutch is adopted to reduce the weight of the clutch pull and provide low-stress shifting during deceleration. The A&S helps to reduce fatigue for the rider. 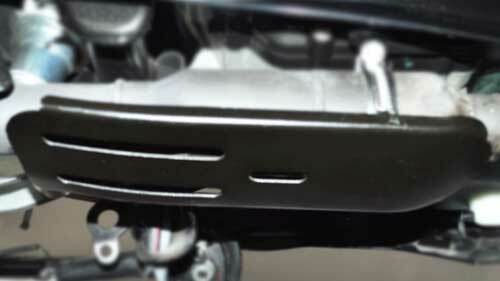 This also prevents excessive engine braking, thus reducing its effects on chassis behavior. 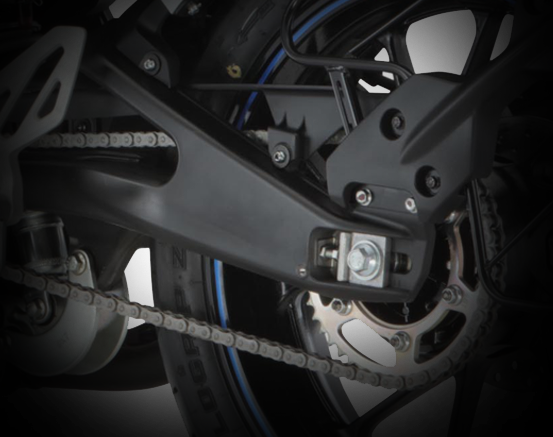 The A&S clutch makes for smooth, enjoyable downshifts. 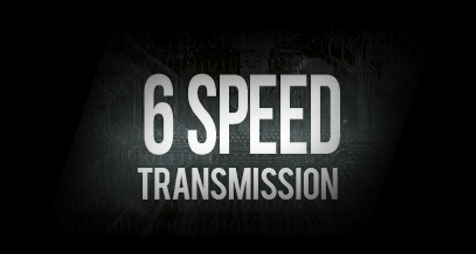 Now shift gears without worrying about economy. 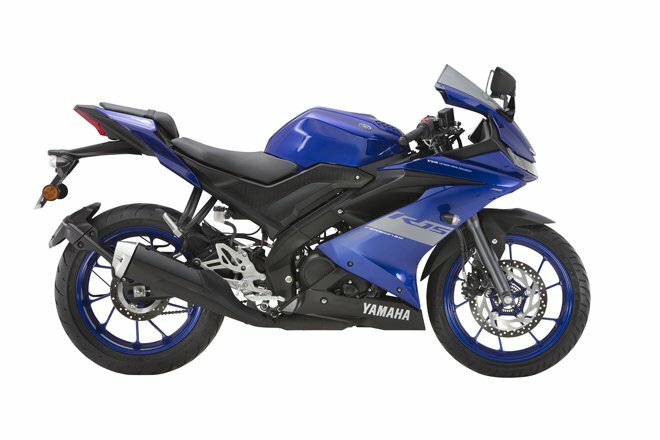 The YZF R15 V 3.0 6-speed transmission allows to cruise at low RPM even in higher gears, thus saving fuel without missing on the thrill. 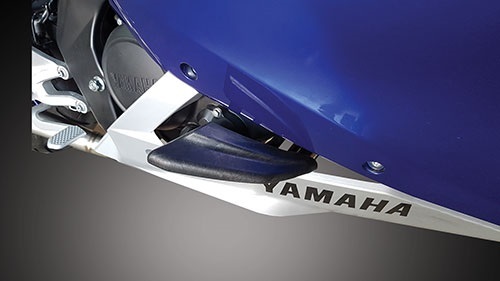 Ensures optimal performance by telling the rider when to shift gear. 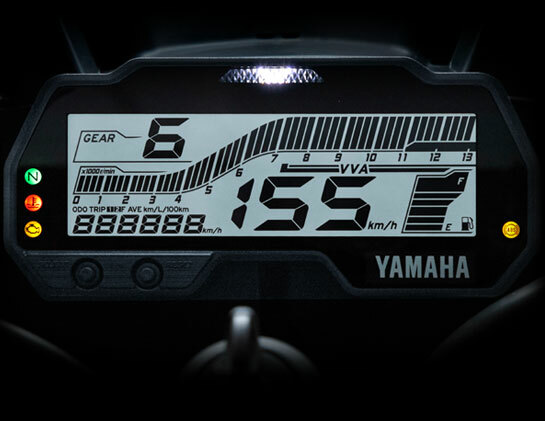 R1-styled cockpit equipped with a full-color LCD instrument gauge with shift light and VVA indicator. Also have the connector for USB charging. 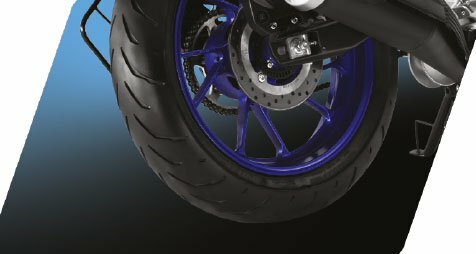 Super wide tire (Front: 100 / 80-17, Rear: 140mm/70 -17) presents the stability of driving 140mm size rear tire aimed at improved rear grip. 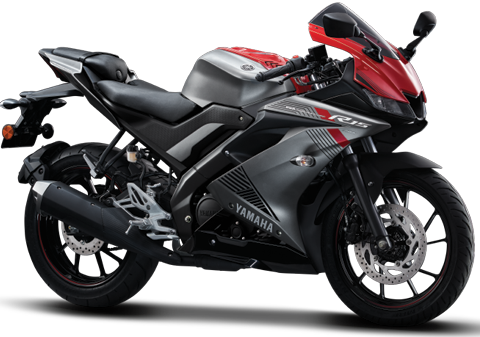 YZF R15 V 3.0 gets a sporty, stable handling character from Yamaha's tradition of crafting a machine emphasizing riding feel. 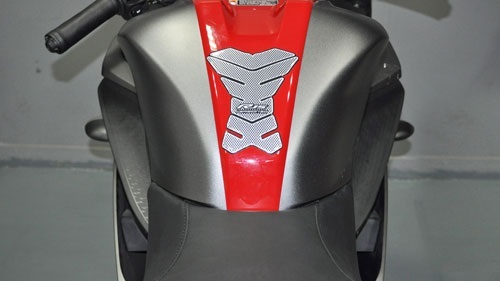 A linked-type Monocross rear suspension is adopted to accommodate the powerful engine character and a wide rear tire are adopted for optimum balance. 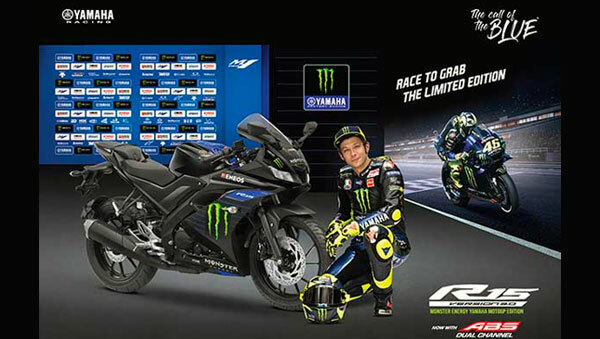 Available at nearest Authorized Yamaha Dealer. 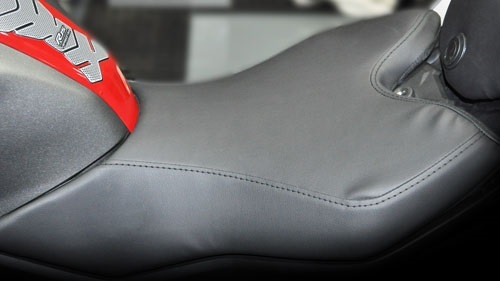 Give your R15 V3 extra cushioning to do more laps on the racing circuit with comfort. Now protect your tank from scratches in style. Now crashes will give less rashes to your engine. Now speed breakers will only break your speed and nothing else. 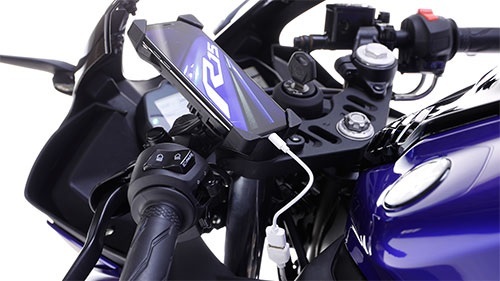 Now your mobile won't run out of juice. 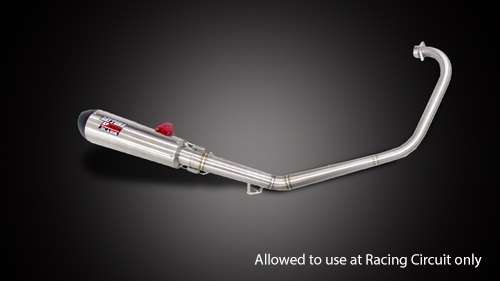 Now gain more power through fast & smooth flow of exhaust gas.